The Chairman of the People’s Committee in Ho Chi Minh City September 23 discussed with related authorities on stepping up procedures to hand over land for construction of the Ben Thanh-Suoi Tien Metro Route. Chairman Le Hoang Quan and authorities and agencies in Districts 1, 2, 9, Binh Thanh and Thu Duc discussed various clearance and compensation procedures required to hand over land for construction of the Metro Route. Quan has requested every district that is being covered by this route to take urgent measures to complete all compensation issues and clear the land to hand over, by the end of this year. Districts 2, 9 and Thu Duc have been asked to complete all formalities by October 31. 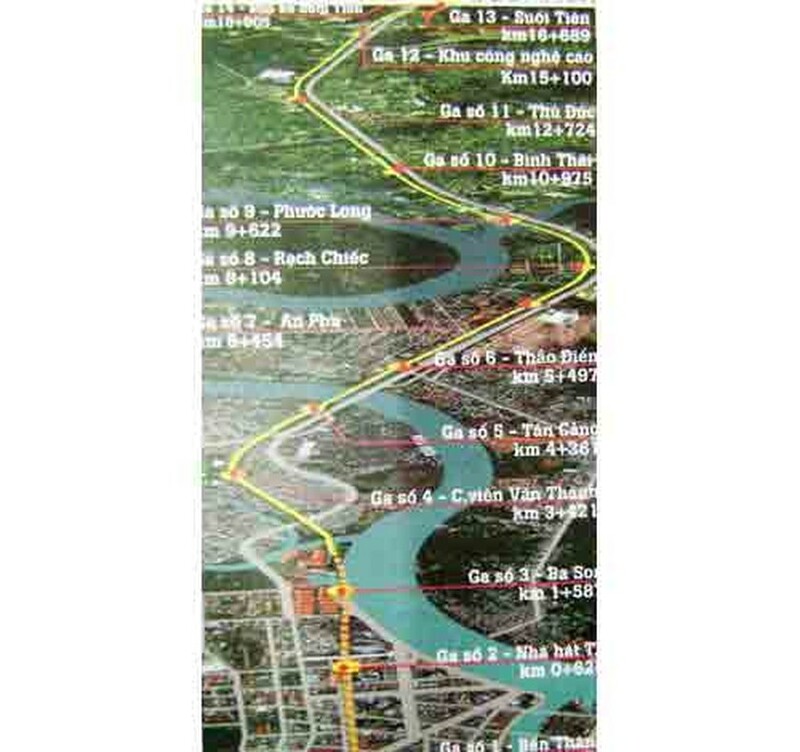 The Ben Thanh-Suoi Tien Metro Line project will cover a 19.7km long stretch, starting at Quach Thi Trang Roundabout in District 1 and ending at Suoi Tien Bus Station in District 9, passing through Le Loi-Ba Son-Van Thanh Channel- Van Thanh Park-Sai Gon Bridge-Ha Noi Highway. It will also take in 2.6km of the underground route and 17.1km on ground level from Ben Thanh to Bason. The entire Ben Thanh-Suoi Tien Metro route is estimated to cost more than US$2 billion.